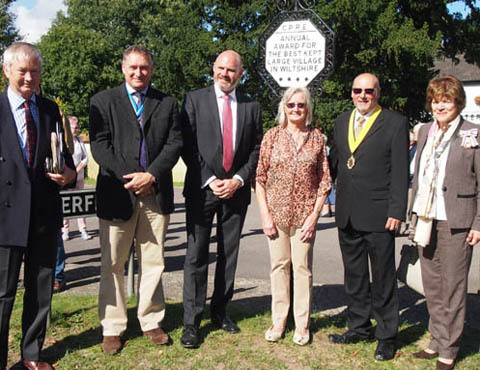 Following the recent success of the Winterbournes winning the Best Kept large village in Wiltshire, Winterbourne Parish Council held the official celebrations on Sunday 25th September 2016. 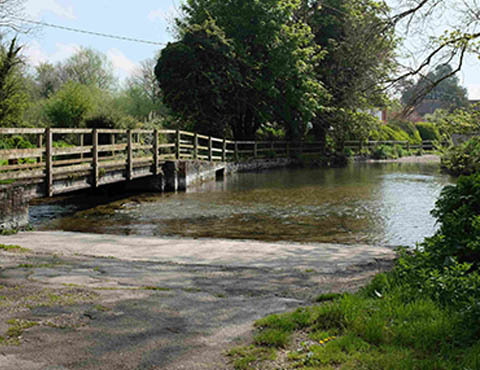 Held in conjunction with the organiser CPRE & sponsors Hills Waste, the event was held at Winterbourne Dauntsey where a BKV large village standard was unveiled. The presentations and certificates were presented at St Michael and All Angels Church, Winterbourne Earls and then followed by afternoon tea. This important and proud day for the village was enjoyed by one and all. 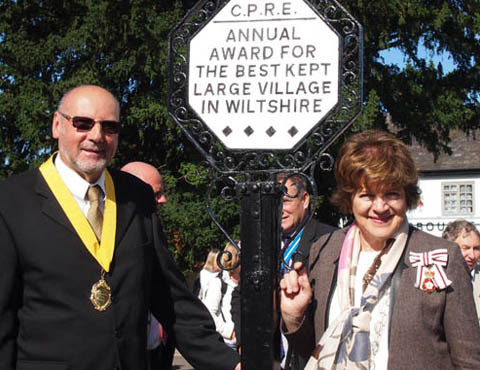 Unveiling of Standard & Shield undertaken by Mrs Sarah Troughton President Wiltshire Branch CPRE and Lord-Lieutenant for Wiltshire and pictured with Cllr and Chairman Mr David Baker. 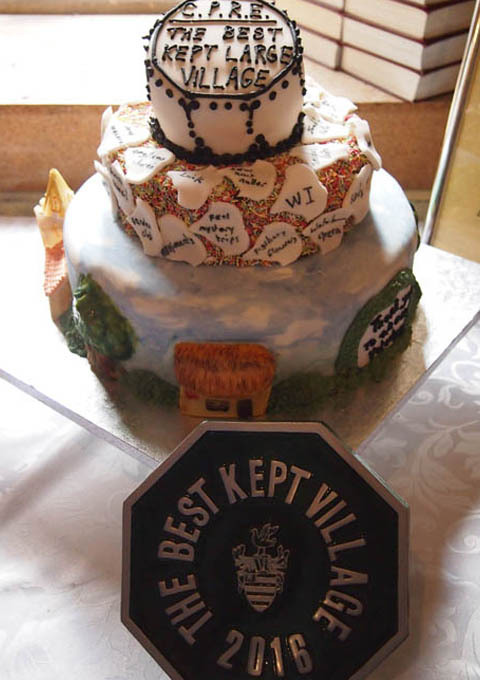 Cake made by Parishioner Joanne Sankey of "House of Sankey" cakes, with special thanks to her. The Winterbournes website has more local information and news for you to read! Click here to visit our Parish sister website. More information to follow about our Community Days. Please return to this page.